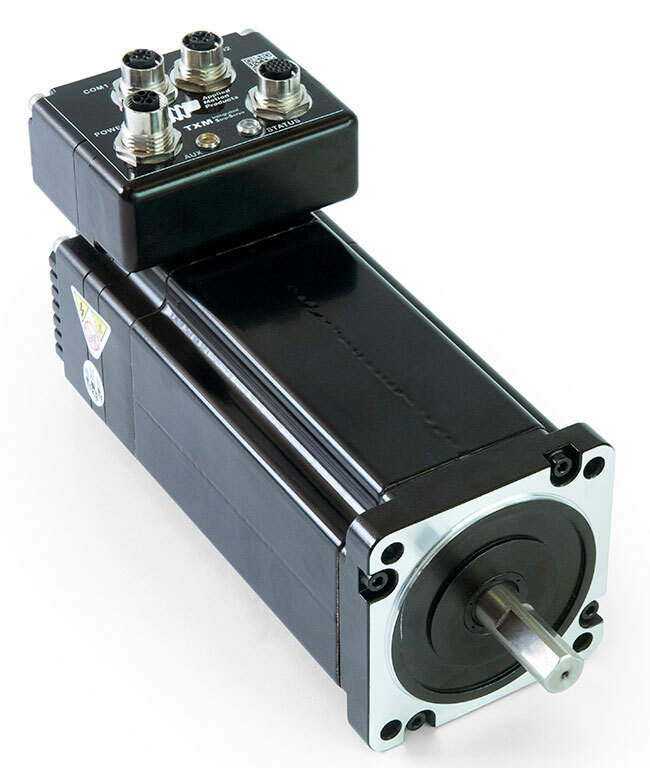 The TXM34IP-6DG StepSERVO integrated motor is a drive+motor unit, fusing a NEMA 34 step motor and a servo drive into a single device. Power to the drive, located at the rear of the motor, must be supplied by an external DC supply. See Related and Recommended Products below for compatible 48 volt DC power supplies. 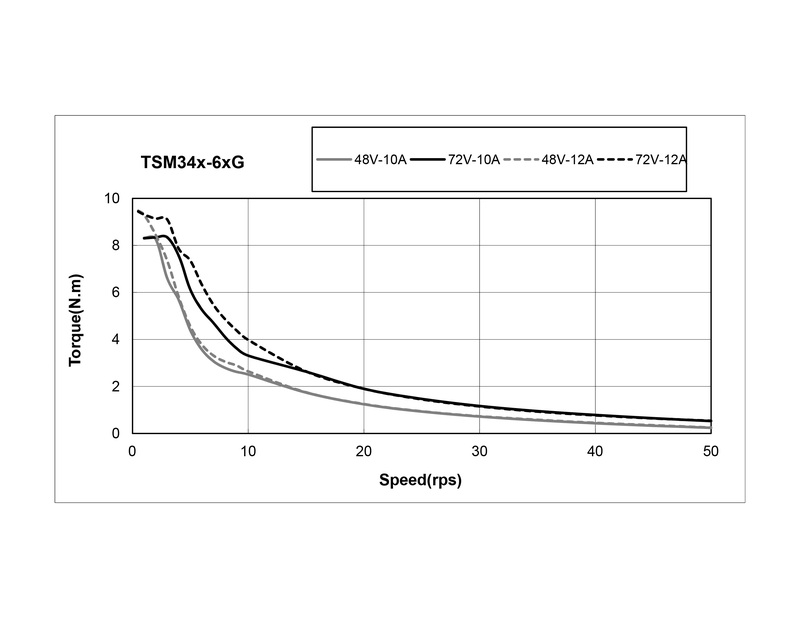 The TXM34IP-6DG StepSERVOintegrated StepSERVO incorporates EtherNet/IP network communications, the widely used industrial protocol for manufacturing automation applications. Implicit (Class 1) and explicit (Class 3) messaging are supported. With EtherNet/IP users can control, configure and query the drive using an open, standards-based, industrial Ethernet connection at speeds up to 100 MBits/sec. All drive+motor features can be accessed over EtherNet/IP, including more than 100 commands and 130 registers for controlling motion, I/O, configuration, polling, math, register manipulation, and Q programming. This integrated StepSERVO can be operated in several different control modes, including Streaming Command mode using either SCL, Pulse & Direction mode, and Velocity mode, plus it has the ability to run a Q program stored in non-volatile memory. Q programs are created using Applied Motion’s Q Programmer™ software, which provides powerful commands for motion, I/O, conditional processing, multi-tasking, math functions, and more. All TXM34 units are setup, configured and tuned using Applied Motion’s Step-Servo Quick Tuner software with built in Q Programmer. 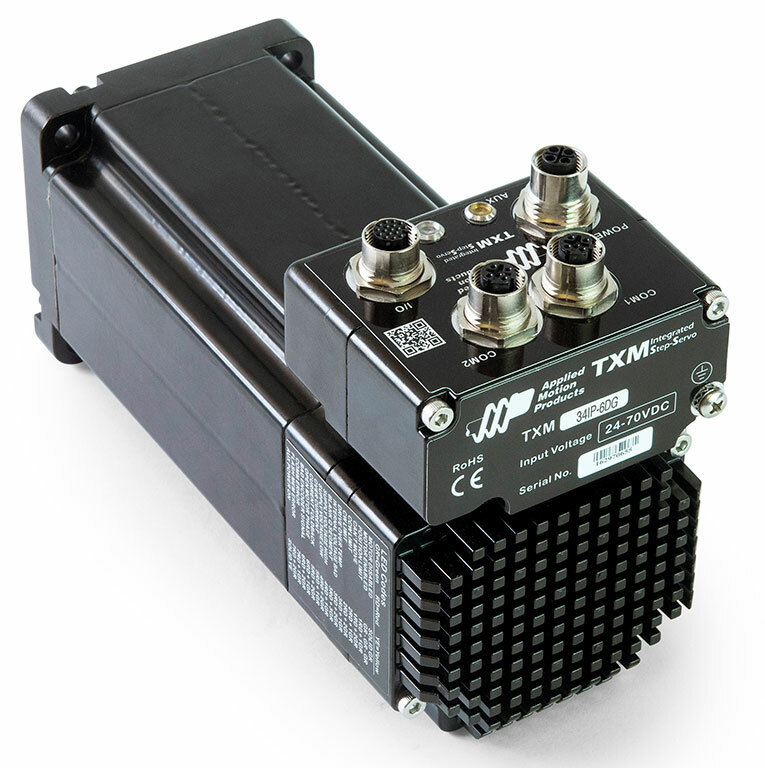 The TXM34IP-6DG comes with a fast 10/100 MBit Ethernet port for programming and EtherNet/IP communications. The same port also supports TCP and UDP protocols for sending commands from Applied Motion’s proprietary serial command language (SCL). As well as the popular Modbus/TCP protocol.